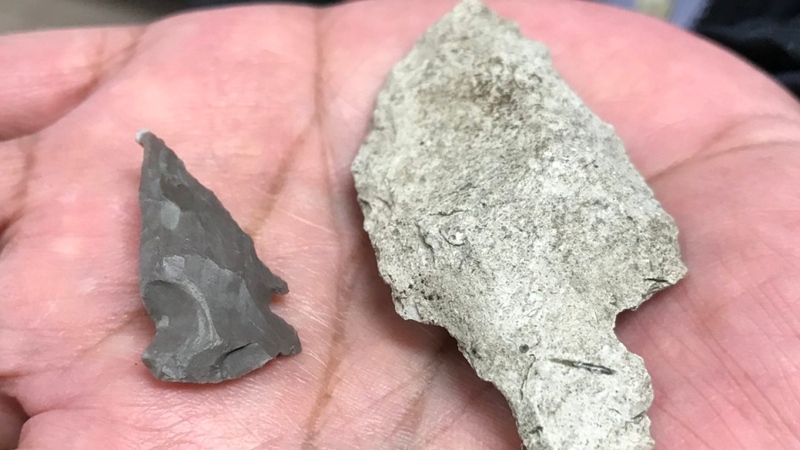 Tens of thousands of indigenous artifacts have been uncovered along the Detroit River. 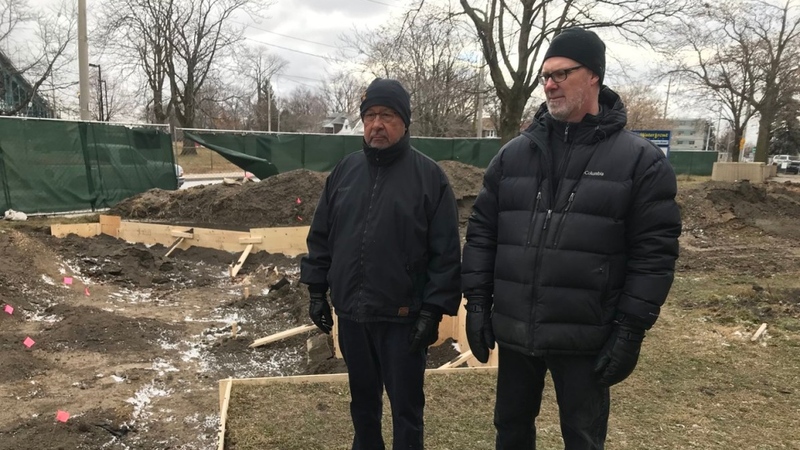 A team of field workers has been carefully digging for artifacts where the Detroit International Bridge Company plans to build its replacement span next to the Ambassador Bridge. The work by members of Walpole Island First Nation and Aecom Canada started in May. Members of the First Nation predicted the area would be rife with artifacts. Charlton Carscallen, the manager of cultural resources for Aecom, tells CTV Windsor the team is closing in on 30,000 discoveries, and the dig is only a third complete. Some of the items include arrowheads, pottery, stone drills and netting points. Thanks to both relative and carbon dating, Items ranging from a couple hundred years old during the earliest European incursions to nearly 10,000 year-old indigenous artifacts are being unearthed. “The artifacts are important, critical to telling the story, but what's really important here is the settlement pattern data that talks about historic, domestic and non-domestic use of the area,” adds Carscallen. “We like to think this is the heart and soul of our traditional territory,” adds Dean Jacobs, a member of Walpole Island First Nation. “This project does start connecting the dots of our First Nation at Walpole Island, the Windsor area is part of our traditional territory." Jacobs tells CTV Windsor the process, although slow, is an important step in the truth and reconciliation process. “We want to share what we're investigating and discovering and make sure that our ancestors are honoured that way in that we give it some life and celebration,” adds Jacobs. The Detroit International Bridge Company is working with Walpole to complete the project, which is called stage four archeological dig. It is a condition of the company’s permit with the Government of Canada. Aecom says it hopes to finish the dig by the end of 2019. The bridge company had previously indicated a desire to finish the new bridge by 2020. “We knew the site would be significant,” says company spokesperson Stan Korosec. “We've planned for the work to take place into 2019. We're working with the Walpole Island First Nation in order to ensure both their interests and those of the bridge company with respect to archeological work and bridge construction can be achieved to everyone's satisfaction." Jacobs adds they are eager to finish the project as soon as practical so the bridge company can get on with their billion dollar replacement span.